There is a tendency in our modern world to make things as simple as possible. We hide the complexities behind a keyboard (I don’t know how my computer works – or not very well) or we treat things that seem complex as unnecessary obfuscations. This same drive to simplify was very much alive in the 16th century as Christianity underwent reform in many places of the world. Thomas Cranmer, the English Reformer, railed against the complexity of the service books required for a Roman Catholic Mass and managed to bring everything down to one small book. Every service required by a cleric could be found in the one Prayer Book, which also contained the book of Psalms. Cranmer’s work was often outdone in other places – some eventually discarding the use of any book but the Bible. Following Martin Luther’s lead, the Scriptures themselves were limited to 66 books (discarding those Old Testament books which did not have a Hebrew original – the so-called “Apocrypha”). This, of course, is not all of the story of the Reform. At the same time that services were being simplified, there were massive productions of new commentaries and works of theology. Thus there was both a simplification and a new layer of complexity. As centuries have gone on, the drive to simplify has not disappeared. Frontier preaching in America had little place for complexity and the proclamation of the gospel became quite straight-forward indeed. A common tool in use throughout various religious movements in post-Guttenburg Europe, was the religious tract. Produced by the thousands and millions, these small summaries of the faith or of a point of doctrine were spread throughout homes and the streets and occasionally played important religious roles in religious movements (I’m not sure how much they do today). How simple should Christianity be? Should it be reduceable to four spiritual laws or summarized in a paragraph or two? Is John 3:16 the perfect summary of the perfect faith? If you were shipwrecked on an island and could only have one chapter of Scripture, what would you keep? I would like to suggest several principles that might be of help in thinking about such things. 1. Christianity is not an idea. 2. Christianity is not part of the religious annex of planet earth. 3. Reality cannot be simplified. On the first point – Christianity is not an idea. I could say that it is also not a philosophy. It is a faith about how things (all things) are and Who God is, and what God has to do with us (or us with Him). It is thus a full account of reality, even though much of that account may remain unspoken. Christianity is either everything or it is nothing. This leads easily to my second point. Christianity is not part of the religious annex of planet earth – that is, it is not a subset or comparment of something else. Since it is the fullness of reality in its truth – there is not a larger fullness (other than God) in which it may be contained. My third point – reality cannot be simplied – may sound obvious – but we frequently live in simplified, digitzed, simulacra of the world itself. Given the choice between life on earth as we know it, and life in a holo-deck as pictured in the Star Trek movies and series – many people would gladly choose the holo-deck, some already opting for its current low-tech version in various games and such. The invitation to another human being to embrace Christ as Lord, God and Savior is thus an invitation not to a religious hobby, but to the truth of the world as it is and as it shall be. Christ reveals reality in its fullness. Thus Christianity can never properly be a diminishing of human life. 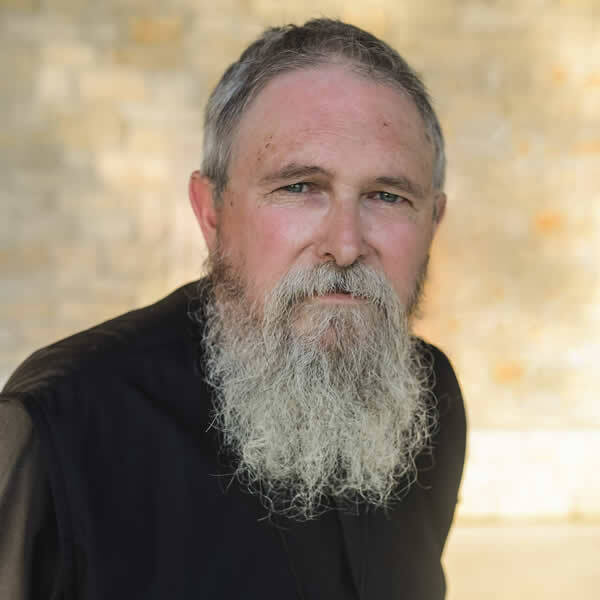 It is interesting to me, having spent the last 10 years of my life (and a little more) as an Orthodox Christian missionary in the American South (or one small corner of it) to note how much I have learned in those 10 years – far more than I knew when I started. For one, I am not in a hurry. An invitation to reality (which is the essence of Catechesis) is rarely something you can do in a single moment (with apologies to the good thief who was far more worthy than I to be saved). Catechesis is the invitation “to put your hand to the plow and not turn back.” It is an invitation to a fullness that cannot be contained and yet is placed in our mouths at communion. It is a fullness that has birthed cultures and sustained hermits. It is the fullness that brought the whole of the universe into existence and towards which the entire universe is being gathered. Shame on us for ever having diminished the faith – for reducing it to something less than all that is (and more). Shame on those who would remove whole elements of reality (the saints, the angels, etc.) for a simplified world. Great art Thou, O Lord, and marvelous are Thy works! There is no word to hymn Thy wonders! Has Your Bible Become A Quran? Fr., thank you for the way you explained this. I come from the southern US and a Protestant background. You put words to something I am dimly beginning to understand as I explore Orthodox, and why it seems so meaningful to me. Your site is of great comfort to me as I am quite a distance from any Orthodox Church, thank you. I have found that the Christian faith in all its fullness (i.e., Orthodoxy), is like a large house (one-story, of course! 🙂 ) with many rooms to explore. Every time I open one door and explore the room behind it, I find two or three more doors, and so on. The more I learn, the more I realize that I have yet to learn. Reality can’t be made to fit our expectations. Reductionism is a kind of idolatry. I am at a Christian university. Recently they outlawed Dungeons and Dragons cards on the grounds that it was “of the occult.” If you ask me, this is just a bit legalistic, but that’s beside the point. I find it strange that they can accept the existence of demonic forces, but not that of angels, and certainly not the Saints. How simple should things be? Depends. If you are a phd at Yale, one expects some basic theological knowledge. But I suspect most Catholics learn via ceremonies, customs, stories and fiestas about the truths of faith, not books…and probably are good Catholics and good Christians too. Thank you, Fr. I suspect that American pragmatism is one of the causes of the reductionism. I see that pragmatism focuses on “results”. Success, which is an outcome and not a goal, becomes the fixation of minds dedicated to making their own life. As we try to control what we cannot control, we set ourselves up as gods. Too much of American Christianity has this infection. Those outside the Orthodox faith are like fish swimming in polluted waters. The fish are so far removed from the pure water that they cannot recognize the toxicity of the water in which they swim. I forgot to ask: Where is the picture from? Fr. Stephen, I was wondering if you might be able to elaborate or clarify this blog a little more. You begin by talking about complexity in the world and then move to how the church has been minimized. I almost feel like there are two different (or more) discusions here. In my experience the complexities of the modern world can be distractions which may be good to try and simplfy, making more room for God in our lives. I aslo believe more in being a “maximalist” instead of a “minimualist” when it comes to the Church. But is there not another level of living the Gospel out in simplicity and with the the faith of a child. It seems like we need to balance the complexities of life with some degree of simplicity otherwise things tend to become overwhelming. I apologize if I am missing the point completly, but part of the complexity of the modern age is that there is an overabundance of information out there, in many different formats and knowing what to embrace is difficult at times. Again sorry if I miss the point. Because the good thief was saved “in a single moment” according to the Hymn sung for Good Friday. I was simply stating that the act of pure faith and trust which he offered to Christ on the cross, was far purer and of more worth than my weak faith. It’s a “chief of sinners” statement. Nothing more. Sorry if things seemed confusing. I do not mean that we cannot live simply in the faith. Rather that the faith (because it encompasses the whole of reality) cannot be reduced to less than its fullness. We accept an invitation to a fullness, not just a watered down versions of the same. Christianity SHOULD be as simples as “loving God and loving the neighbor.” All the laws of the Prophets hang on those two spiritual principles. The complexities which emerge out from these two principles are not from the Lord God, but come from the challenge these two simple rules place on humans. Yes of course, it should be that simple (as a practice). But I wanted to comment on the fact that “Christianity is everything” inasmuch as it is the true reality and the fullness of all that is and more. It should not be a simple thing because simple things are allways taken for granted and forgotten. it should be something that you have to put effort into. That will make you stronger. I find Orthodox Christianity very refreshing in America. I’m currently enrolled at Concordia Theological Seminary in Indiana and have been able to more fully realize in my studies of scripture in the original language how much we are deprived of in most English translations. Some translations are just down right horrible. I think this leads into your point on catechesis. If the Church truly took her time to catechize and do it well, many problems within the Church would simply cease to exist. Unfortunately, many Americans don’t want to take the time to learn. It would break the sacred “60 minutes or less in church” rule. Nobody took you up on the one chapter of Scripture. If I could only have one, it would be Psalm 50. Of course, I should have that memorized, but do not yet. Yet, I wouldn’t choose it because it somehow summarized the faith adequately, but rather because its what I most need to remember about myself every day. I do not want Orthodoxy-lite, Christianity-lite or any idol of my own imagining in the place of God. However, I can’t see how that relates to complexities/inconsistencies within Orthodox services. It was extremely frustrating to have to ask two priests, a deacon and finally an abbess to find out whether it was OK to have pictures of family members near our icon corner (something as simple as my late son’s picture on the table in front). Incidentally, I was finally told no, which I accept but am still sad about. Just last night at the Beheading Vigil my priest’s daughter and her family were commenting on how their Antiochian parish hasn’t ever celebrated some-such-important service. My priest told his daughter, basically, they do what they were taught very well, but don’t know what they weren’t taught. I often stand with the choir during service and even while looking at all the music and notes I’m baffled. In fact, it’s quite clear that they sing different harmonic cadences on different “Lord have mercy” and “Grant this O Lord” which seem to be almost random. My Jordanville Prayer Book has more instructions about just how to move about during any particular visit to the temple (prostrations, proscribed prayers, etc). But there are folks who don’t even cross themselves at the invocation of the Trinity. And a woman who does full prostrations during Divine Liturgy. Not that I can understand the instructions in the JPB either, even if everyone was just following that. I can already feel the response to this on the back of my head, burning into my skull. You might say that I’m making your point. That all this “real life” is complicated precisely because it’s real, but if you say that I feel I’ve got no hope of ever learning how to participate. Frankly, I am feeling MORE alien the more time I spend in the catechism. Each new day brings with it a host of new questions. I remember some months ago I wanted to pray the prayers of the Church so badly I went all over the internet searching for a Horologion. All I wanted to do was pray the prayers other people were praying. I wanted to participate in the shared life of the Church. I wanted to speak the same words they speak. What a mess! When I did find scraps of things, they was very little in common (not just because of differing translations). I’m not even going to talk about the deliberately frustrating tradition refusing to translate terms. I mean, if the rest of my service is completely in English, why even call it “Trisagon” instead of “Thrice Holy”? Isn’t “thrice” exotic and formal enough? Theotokion is a “Hymn to the Theotokos”. Why Troparion, why Kontakia? And TONES?!? It’s easy to find Bishop Ware’s book or dozens of others on the greatest mysteries of the faith, but I can’t find ONE “Chanting 101” book or website. The OCA website has a guide but it’s all “attitude and style” nothing about actually what notes to sing and how to sing them. I’m fine with words like Theotokos, nous and ousia being notoriously tough to translate, but this other stuff is a burden put on the backs of weak people like myself, by strong people who can bear the burden. I’m sorry to be so harsh about it, but it isn’t kind to the simple to be deliberately obscure. Sorry for the rant, this has been bubbling for a while. Having just read david’s account of frustration with ‘inconsistencies’ within Orthodoxy, I feel compelled to comment. I think his complaints must be commonly heard by priests to those new to Orthodoxy. I know I wrestle with similar thoughts. Personally I think my desire to be able to know, and do everything the “correct” way comes from the approach taken by modern society and my protestant upbringing (they do not diverge much). We struggle with the notion of there being one Truth but having flexibility within that truth. We tend to want to apply the same rules to everyone as if there was no personal aspect to our lives. It is more compicated to accept that as we become more united with Christ the more free we are and what is more practically important to my faith today may have a different focus next year. I think I am communicated my thoughts poorly. I will leave it with this last thought that I struggle to remember: I should not try to make the enitirety of Holy Orthodoxy fit into my previous legalistic framework and instead I need to focus on the guidance of the Spirit along with a spiritual father to lead me towards that perfect unity with Christ that I seek.. My apologies if this is more confusing than helpful. Fr. Stephen, thank you for this post. In some sense it is this aspect of Orthodoxy that most attracts me, that most strongly argues to my heart and mind that Orthodoxy possesses a truth that my Evangelical world is missing. I hope you won’t mind a long response explaining why I appreciate your thoughts on this topic so much. Francis Schaeffer, in his book/video series “How Should We Then Live”, traces the attempt of Western Civilization to philosophically pull itself up by its own bootstraps, reasoning its way from its own observations about life and Creation to work out transcendent truths. The key in this process is man’s utter reliance on his own reason, specifically his ability to make accurate deductions. Schaeffer attributes the introduction of this notion in the West to Thomas Aquinas (drawing on Aristotle), and he shows it coming into dominance in the humanism of the Renaissance. As a mathematician, I am intimately acquainted with deduction and the nature and limits of logical systems. One begins with a collection of axioms, propositions that are either assumed true or taken to be self evident (or established beyond question). Then one applies the rules of logical deduction to derive other propositions whose truth follows inescapably from the truth of the axioms. This is the playground of the modern mathematician. It strikes me that beginning in the time of the Renaissance/Reformation Western Civilization began to seek to reduce matters of importance to such logical systems of axioms and deductions. Scientists looked for axioms in the form of physical laws (e.g., Newton’s Law of Universal Gravitation) by which they hoped to explain Creation. Nations looked for axioms in the form of Constitutions and bodies of written laws from which all decisions of the courts must be logically derivable. The reformers looked for axioms in the form of the Scripture, the only authority, from which every Christian truth must be logically derivable. Mathematicians, in 18th century, began to seek a formal axiomatization of all of mathematics, to find axioms and definitions (in formal logic and set theory) from which all other mathematics is derivable. At heart such logical systems are models of reality. That is, they are simple descriptions of certain narrow aspects of reality. The Law of Universal Gravitation, for instance, provides a simple description of what we have observed of the motions of the stars and planets. The dramatic simplifications involved in such models are useful: when we begin with simple principles, we are confident in our ability to deduce other truths that may be far reaching and far from obvious. Men who understand the Law of Gravity, for instance, have made predictions of where the stars and planets will be the next day or the next year, and they have been consistently right for the past two or three centuries. The medical and technological accomplishments of the past few centuries are striking, and some of them seem to be great blessings (for instance the mothers and babies who no longer die in childbirth and the people for whom blindness is prevented or cured). Indeed God gave a “model” to the Jews in the form of the Mosaic Law as a way of revealing Himself. Reality, however, is far richer than any model can describe. The Law of Moses points to God, but as a shadow, not a perfect revelation. The Law of Gravity says nothing about why the stars exist or move. It says nothing about the beauty of the constellation and the wonder of the night sky. Ramandu, the aged star, in “The Voyage of the Dawn Treader,” gently chides Eustace, saying something like “Even in your world a star is not just a ball of gas. That is only what it is made of.” We can represent the singing of a hymn digitally by a long string of numbers that describe its waveform, and we can use that representation to reproduce the singing flawlessly; but the numbers are not the hymn, nor the singing of it, nor the adoration in the hearts of the singers. Men seem, however, to prefer models to reality. I suppose this is because models are easy to grasp and manipulate intellectually. It is gratifying to believe that one has mastered reality with little effort (this feeds both pride and sloth), and it is pleasant to play mental games that justify one’s base desires (this feeds the passions). The Pharisees did this with the Law of Moses, treating the words as an end in themselves, rather than as a signpost pointing to the God Who gave the Law. Thus with good conscience they swallowed the houses of widows (because the words of the Law permitted it) rather than showing godly mercy, and the crucified God incarnate as a blasphemer. Some scientists, failing to see anything more in Creation than physical law, preach atheism because their models have no place for God. Some judges (and their accomplices, the legislators and executives), failing to see that civil law answers to God for the degree to which it reflects His goodness and holiness, treat the words of the law as ultimate reality. Thus they permit the murder of unborn children because they find no law that declares such children to be living human beings. They equate perversion with holy marriage because they find no law defining marriage otherwise. Some churches mistake the “Four Spiritual Laws” for the Gospel and others teach a blasphemous “prosperity gospel” because they can cite sufficient proof texts as axioms and they have no context (i.e., holy Tradition) to show them how much truth and Scripture they are ignoring. Schaeffer argues that Western thinkers eventually found their logical systems inadequate to find transcendental truth. They then turned to non-reason. They sought a transcendent, non-rational experience (drug trips, fuzzy mysticism, libertine behavior, violence) that would give meaning to life. This, too, led nowhere, leaving society at a dead end of apathy and meaningless hedonism. If truth could be found neither through reason nor through non-reason, then the options appear to be logically exhausted. The truth, of course, is that truth (Christianity, more specifically) is not an intellectual idea to be grasped merely with the mind. It is, rather, a reality that one grasps by acquaintance and participation. A child knows his parents neither by intellectually comprehending them nor by an irrational flash of insight into them. He knows them by lifelong acquaintance with them and participation in their life and household. The same is true of how a child learns to speak his mother tongue; the process is neither an intellectual accomplishment nor an irrational experience but simply by hearing the language spoken in his home and imitating what he hears. I read on the Ochlophobist’s blog a similar description of how an apprentice learns a craft. He works with the master day in and day out in the practice of the craft, hearing the master say again and again, “Do it this way.” Should it astonish us if God designed families for children to grow in as a picture of how we should grow up to be His children? Is it not plausible that the normal way of being (or becoming) a Christian is to practice Christianity in the household of God among those who are older, more mature, and more advanced in the faith? Schaeffer seems to conclude that the Reformation, choosing Scripture as its set of axioms, chose life, while the humanistic Renaissance, choosing humanistic axioms, set Western civilization on the path of death. I fear what really happened is that both Reformation and Renaissance chose pride, the path of exalting the human intellect. This path seems to have led to a modern America whose courts can murder 50 million unborn children and confound marriage and perversion, while its churches boast of the nation’s freedom, its rule of law, and its Christian heritage. Orthodoxy — especially as you present it in such posts as this one, Fr. Stephen — sometimes seems to offer a genuine alternative to this deadly mire in which we find ourselves. Thank you again for taking the time to make such a winsome post. First of all, good post Fr. Stephen. Second of all, David, I know how you feel. I was just chrismated on Holy Saturday so I am still new in many ways to Orthodox services and I know what you mean about how daunting they can be. Not that you need my advice, but I’ll give it anyway. 🙂 Don’t worry about it and don’t put so much pressure on yourself. Frederica Matthews-Green came and spoke at my old college a few months back and she said one thing that struck her about Orthodox services in the beginning was that, as opposed to many Protestant services, it was about God, and not about her. Ortho-doxy. Right glory. It’s about honoring God and giving Him the reverence due Him, about joining the angels and saints in this one-storey universe as they praise Him. But we all have to “start at the bottom” as it were. If I had a child, as he/she grew, I would constantly be explaining to them why we do this, and what this or that means, etc. As we grow and mature we will understand more, but it takes time. We just pick up little things as we go along. The tendency is to pressure and get ahead of ourselves, to get to the end of the journey. I know I struggle with that. But we should be thankful and be fully present in the journey. Another thing is, especially as you are a catechumen, you can see the services, in addition to praising God, are about learning. Everywhere you look there is something to teach you, about God, about life in Him, etc. My spiritual father, as I am still very much a babe in Christ, advised me to “marinade” myself in the services. Maybe right now you shouldn’t worry so much about hitting all the right notes or knowing what every term means. You can still and silent and still participate. Like Rich Mullins said about the Apostles’ Creed: I did not make it, no, it is making me. Let the Church make you for a while. As you grow, you will have more and more to give back. This is a time like no other for you. Don’t let it be a source of stress for you, but relish this time. Orthodox Liturgy isn’t supposed to be complicated for the sake of complication. Anywho, run any of this by your priest. Again, I’m new at this myself and don’t wanna spout of a bunch of bull here. 🙂 God bless! I’m glad you felt free to “vent” a bit. Unneccessary complication for its own sake would be silly. I think you are right that we are sometimes silly (my word). I would add that Orthodoxy in America has only used English on a regular basis for less than a generation, and that the unusual situation of multiple jurisdictions makes for a largely variation in practice than is normal. Unlike most things in America we are at the “tale end” of Orthodoxy, rather than being at the head. Thus we get a lot rougher ride in some ways. I can only counsel patience (which never hurt any of us). I was very frustrated in my first years of Orthodox priesthood for many similar reasons, particularly being responsible to lead a congregation. It does get better and less confusing and, in time, by God’s grace, America will become more normalized in its practice of the fullness of the faith. I am ashamed of my vent. I spend alot of my time these days being ashamed. However, I can see a value even in being confused. If there’s two things I needed more than anything else when I heard for the very first time, “Blessed is the Kingdom…” at my first service, I needed humility and peace. I read a story about a monk who had a very poor spiritual father who mistreated him and eventually the monk through his service to his abba led the abba to salvation. It almost seems in the story that the monk was better off for having a bad spiritual father, perhaps because God was wise enough to know the monk would be better off that way but that’s never said in the story explicitly. Even in the worst scandals and divisions the Church never ceased being the Church. So for those who lived in those times, the charism was still theirs and they still had the fullness! God’s ways are not our ways to be sure. I’ve come to learn that humility isn’t a learnable thing in the “read about it in a book” sense. It comes slowly as a result of hundred tiny decisions each day. You simply can’t pour yourself all out at once. Dealing with the “silliness” and the “disorganization” is frustrating and aggravates my desire for peace, but contributes to my humility. Part of my problem also comes from thinking peace is something between me and the world (that is, my circumstance, the chaos of the day, etc). The sort of “sitting on a beach in Tahiti” peace isn’t real peace. Real peace is the ending of enmity between myself and God. And the ministry of reconciliation which he speaks through us to others. That is a different sort of peace. I do wish to respond to one line of response above. I’m really not trying to be legalistic here. It’s not that there must be one way for things to be done so I have “be right”. But rather I need a way of dealing with conflicting or confusing moments when a decision is necessary. When I approach the icon for veneration in the Church before Divine Liturgy, I have to decide. Do I cross myself once, or three times before kissing it. Do I touch the floor on each cross or just once. Do I prostrate before it. What if I’m late to the service, are their parts of the service I should not venerate the icon and I should just go stand out of the way. Should I cross myself at the mention of the Theotokos or just bow. I kept forgetting that I wasn’t supposed to say some prayer to invoking the Holy Spirit at some time of year (I never realized the prayer was specifically to the Holy Spirit). I can’t even remember what it is I did wrong. More importantly, I am a very vocal and active-personality person. I need the Church to tell me what to do because I need to not do it simply of my own accord. I need to learn obedience. I need to have someone tell me I shouldn’t sing the bass notes an octave lower (though that is more comfortable often for me). If I make such a choice on my own it messes with my pride about my singing voice. Thirdly, and finally, I have almost no self-discipline. I am passionate, impulsive, gregarious, voracious (for food and for life), and so, I have being trying to use obedience to learn discipline. But I know how to obey. So, obedience will have to suffice until discipline can grow. Thanks for letting me think this through here. I appreciate all your comments and Fr Stephen’s wisdom. I totally feel you with all that pressure in little choices stuff. I imagine more often than not most other people don’t even notice or even care if we get everything “right” liturgically, but I do know how it is to live with a mind that is very self-critical and self-accusing. My only advice to you is to make decisions with honoring God as your motive (either for going up and prostrating yourself or for refraining), and to rest in the grace that God doesn’t necessarily expect technical perfection from you, he just wants the pure offering of your heart. 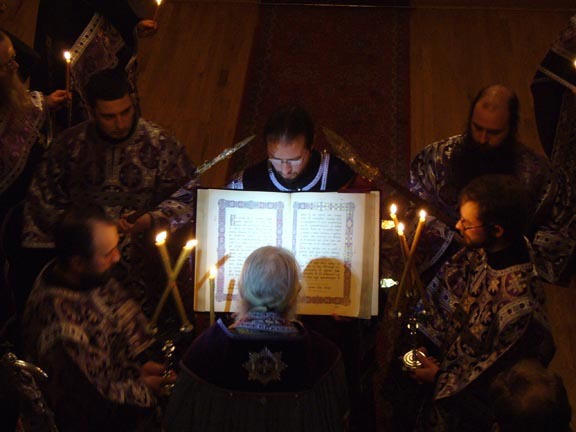 The rites of Orthodox, the Liturgy etc. Probably not using the terms correctly here. Are they what was handed down from the Apostles directly or have they been enhanced over time. If so to what degree. As a newbie Orthodox Christian (eight years in) it doesn’t matter what others do in Church or how they do it; I just do what I was instructed to do when I entered the faith, if someone doesn’t like it (and I have been corrected many times ) I just say thank you and move on. If my priest is cool with the way I worship then I am doing all right. My family was fortunate in that we have wonderful godparents and they showed us their faith. It is from my Kresna that I learned how to cross myself properly and at what times during the service. I emulated her, I still do even though she is across the state from me. At least there are two people who venerate icons in the same way! This is how living Orthodoxy is transmitted – generationally. In this case my Kresna shared her faith with me and if I am blessed with grandchildren or godchildren I will teach what I know to them. Orthodoxy is transmitted with love. This is where carefully chosen godparents or sponsors can really fill the gap. Oh and Kresna is Slovak for “cross-giver” – Kresne is the male version. The services of the Church have certainly changed in various ways over the centuries, taking their present form, to a great extent by around the 7th century. The general shape of the Liturgy (Eucharist) is still largely the same as that found in documents of the 2nd century which described itself as Apostolic. The Liturgy and other services have always been the primary place of teaching as well as worship, thus the old rule: lex orandi, lex credendi, the “law of praying is the law of believing.” That is, we believe what we pray. Thus the Creed began to be said as part of the Liturgy after the 1st Ecumenical Council. The Liturgies of St. Basil and St. John Chrysostom, the two most prominent Liturgies of the Church, both have content that not only affirms the foundational doctrines of the faith, but also specifically defend the faith against contemporary challenges (heresies). A service that had not developed to a certain extent through the centuries would have been inadequate to the Church’s need. There would have been “orandi” but not enough “credendi” to defend the faith. It is interesting to compare the services in the Coptic Orthodox Church to those of the Eastern Orthodox. Because of the timing of their break with the Eastern Orthodox (5th-6th centuries) they came under less “Byzantine influence – indeed they largely froze where they were. That comparison would reveal many common elements and also reveal certain elements that are decidedly “Byzantine,” for instance. In small matters, you can find some variation in local practices (different melodies or completely different kinds of music used – though all without accompaniment). My parish has Orthodox from a variety of national backgrounds. Particularly when an event like a wedding takes place, I am made aware of small local customs that are very important to an individual – though the words of the service never change. I worshipped last week (Monday) in an all Russian parish in California, where my son-in-law is priest. Their practices are generally the same as I see in most OCA parishes, since our liturgical heritage is Russian (with some mixture from Carpatho-Russians and Ruthenians, etc.). The vestments worn in a service, for instance, are developments from Byzantine court clothing (if you dress this way for the Emperor, of course you’d do at least the same for God). In time such things (vestments) were also given symbolic meaning and themselves became part of the teaching of the Church. I could give much more detail to this already too long answer. Perhaps another way of saying things would be this: Jewish worship was liturgical in every location, whether in Temple or Synagogue. Christian worship adapted Jewish worship for use as Christians, changing and adding as required. Indeed, we have no record of any “non-liturgical” worship in the Christian Church until Reformation times – and even most Reformation worship was liturgical to begin with. If one of the Apostles were put in a time machine and brought to our modern period, they would recognize most liturgical worship as worship and perhaps have a rough idea of what was taking place. If placed in a non-liturgical setting they would not have a clue. Thanks for the Einstein quote. It works for physics but would be lousy instructions for a chef. Probably not very good for an artist, and possibly not good theology. Einstein was smart. St. Silouan was a peasant – but he knew God. That’s all I know about that. I do not mean to paint you with the legalistic brush. It was more a case of recognizing your frustrations in myself at times and knowing that my approach to life was formed as a protestant and and legalism was part of that. needing to know the ‘right’ answer instead of trusting the guidance of a spiritual father. obedience while lacking understanding is a difficult thing for me. a nicer way of saying i am too proud. forigve me if I offended you needlessly. Your lengthy answer is much appreciated. This was something I have been thinking about for a while. I have also been reading on the history of the Eucharist or Mass from Roman Catholic sources. It seems astounding that there would be such similarity across east and west in relation to worship. Clearly it developed in the first few centuries at the latest. But to me I find it hard to accept that this is the way worship was intended from the days of the apostles onward. I am not saying that it wasn’t. I’m just verbalizing where I am. It certainly seems as if Christianity was liturgical all along. But that is a very new idea to me and one I’m not ready to embrace without serious thought, study and prayer. I was raised in the protestant Christian denomination of Seventh Day Adventism ( though cult would be the more appropriate word). God led me out of that about a decade ago now. Since then I’ve been your basic nondenomational protestant. The part relevant to the whole question of worship and liturgy etc. being that I was raised to believe that the church had been fully corrupted by the time of Constantine. A whole host of errors had been introduced. This included all the “hocus pocus” and ritual, the saints, as well as a change of Day of worship etc. Like all protestant groups ours was the latest in a long line of “improvements” upon the faith. But here I am. Considering the possibility that the Reformation itself was wrong. Having a hard time explaining to myself why if the scriptures say the apostles taught that the written and oral tradition was to be held to how we can insist on only Scripture. Especially since the canon of Scripture depends upon tradition for its very existence. Etc. One of the things I’ve been studying is the dispute between RCC and OC regarding the filioque and the changing of the creed. It seems clear to me that changing Christianity was not a particularly easy thing. Indeed it was quite impossible without create visible and lasting schism. It also occurs to me that, until a couple hundred years ago the worship style that seems foreign to me would have been fairly universal within the church even across the RCC and OCC. The reformation was the beginning of the end of that. I’m pondering and wondering. But it certainly looks like the truth embodied on the Church is still there and, as you say, cannot be simplified. I could ramble longer but I won’t. Just saying thanks for your blog and your answer. And some background on me and where I am at. I’ve been reading Alexander Schmemann’s “For the Life of the World” (http://isbn.nu/9780913836088) and have found that he addresses some of your concerns fairly well. Specifically, in one of the essays at the back he talks about Liturgical Piety and how those of us who suffer from a Western mindset become obsessed with (for example) the minutia of liturgy, or the length of the liturgy and forget the symbol and substance of liturgy. Also (Reid), while I’ve often blamed the Reformation or the Renaissance, Schmemann points out that you can see the difference in the Fourth Lateran council (1215, not accepted in the East, http://www.fordham.edu/halsall/basis/lateran4.html) which affirms transubstantiation. Schmemmann says this is significant because the argument was that because Christ’s presence was real, it could not be symbolic. The East had no such division between symbol and reality. The division between the East’s approach and West’s continues to be seen pre-Renaissance through, for example, Thomism. Mark, thank you for the information. Schaeffer emphasizes Thomas Aquinas (b. 1225 AD) as the conduit for Aristotle and the exaltation of human reason in the Western Church. It is interesting that your example of the Lateran Council takes place slightly before Aquinas, suggesting that he merely paved a road that was already in use. The key point, as you say, is that (if this whole line of thought is correct) the Reformation did not so much create this problem (exaltation of reason) as perpetuate it. They rebelled against Rome because they found the doctrinal consequences of this problem intolerable; but failing to recognize the source of the trouble, they embraced the problem itself with a vengeance. Perhaps this is why Met. Kallistos Ware opens his book, “The Orthodox Church,” with a quote about the problem with Protestants being that they are so Catholic. Mark, I’m still here. Let’s see. Anyway, Schmemann is my anchor in reality. I think all the rest would lead me to ruin without rereading “For the Life of the World” over and over. 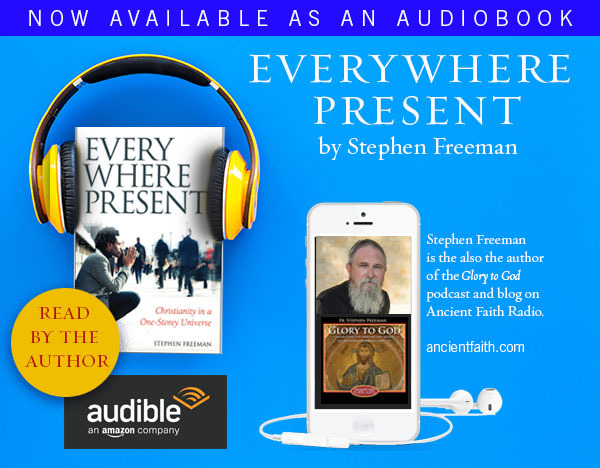 Fr Stephen’s “One Story Universe” allows me to reframe my world view, but I would misuse Fr Stephen’s work without Schmemann grounding me in the real. I am constantly tempted to magical thinking. But it is my desire to know the mystery not of visions, but of the real. I’m not saying here that visions aren’t real. I’m saying that if I cannot bring myself to confront reality as I know it I will be unable to confront anything else real revealed to me. It occurred to me some time ago (long before encountering Orthodoxy) that God is merciful in some very unappreciated ways. One is that he doesn’t expose us too much reality. I was thinking about someone who had hurt me very deeply and I realized that I didn’t actually want him to know the depth of the hurt. If he did it would crush him. I realized that how he hurt me is just how he hurts a great many people. To know it all at once looking in the mirror one morning would destroy him. I wonder, why does God spare Moses his face? Too much reality for Moses to bear perhaps? Instead God seems to reveal only a bit of reality at a time. Giving us time to work with it to grieve over it to celebrate it, to come to know it. It is therapy. It is slowly pulling back the delusions and confronting the real. The mysticism of the real is ever before me. Blessing does not impart Holiness but reveals, draws back the illusion that what was just wood and paint arranged with talent is an ICON, a window to heaven. It isn’t a magical thing. It is a real thing. I read the Gospel of John through and considered for a moment that all the theological language was real, not merely metaphor. I can never see the world the same again. However, I can read all the Palamas or Maximus or Lossky or anyone else I want, but if I don’t remember that I am an infant child in the Church I will be lost. I look at others like a child looks at his parents. “Where do I stand, what can I touch, when my voice changes do I sing with daddy instead of mommy” etc. This is the spirit of my discontent. That there is no way to learn this but to live it with the constant cuffings from those who see when I misstep. Who lead me by their example. Anyway, it was all I could do to keep from wrecking the stand, the icon, the linens over the stand, and a couple of nearby parishoners. Talk about embarrassing. It was only the shock of the experience that kept me from sitting down on the floor and weeping. The Reader James went up and readjusted the carpet, the icon and the stand. And the kind nun I stood next to in the choir, quietly turned all the pages for me during the service because she could see that my hands were shaking. I’m slowly understanding more of what you’re saying. I’ve been Orthodox 9 years, but sometimes still feel that childish self-conscious self-awareness that you’re talking about. But I’ve started getting to the point where I have more confidence in what I’m doing (even when others might say I’m doing it wrong) that I just carry on. The most helpful thing, though, is to find a spiritual advisor. Someone who can answer all your questions and let you know when you’re worrying too much as well as when you aren’t worrying enough. When the first complete edition of the Bible by the Wittenberg Reformers was published, in 1534, Luther and his colleagues included the Apocryphal books, though distinguished from the more universally accepted books, by setting them apart in their own appendix to the Old Testament. Luther’s Bible was the first major edition to have a separate section called Apocrypha. Books and portions of books not found in the Hebrew Old Testament were moved out of the body of the Old Testament to this section.